Girl Up North: Salted Caramel Green Tea - Really? You've probably heard something about the benefits of drinking Green Tea; it's packed with antioxidants which can help speed up your metabolism, reduce the risk of heart disease etc. 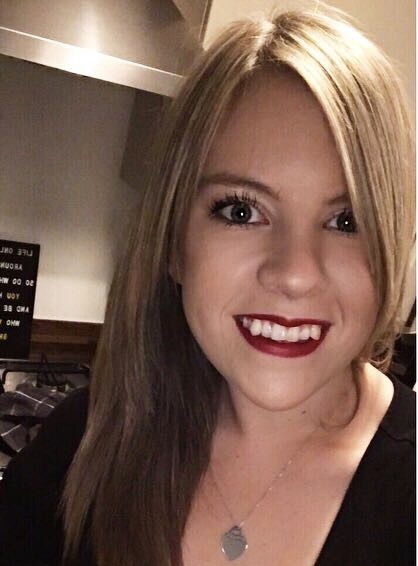 I drink quite a bit of it because I do believe it helps with my weight loss; if I've had a bad food week I up my intake of green tea and I genuinely believe that it's helped to keep weight off. The problem is that I can't say I actually 'enjoy' the taste of normal green tea. I think it tastes really bitter; nothing like actual tea and I've never thought it would be any better with sweetener so when I saw that Twinings were doing a salted caramel version of green tea I obviously picked a box up with high hopes that it was going to taste like actual salted caramel. 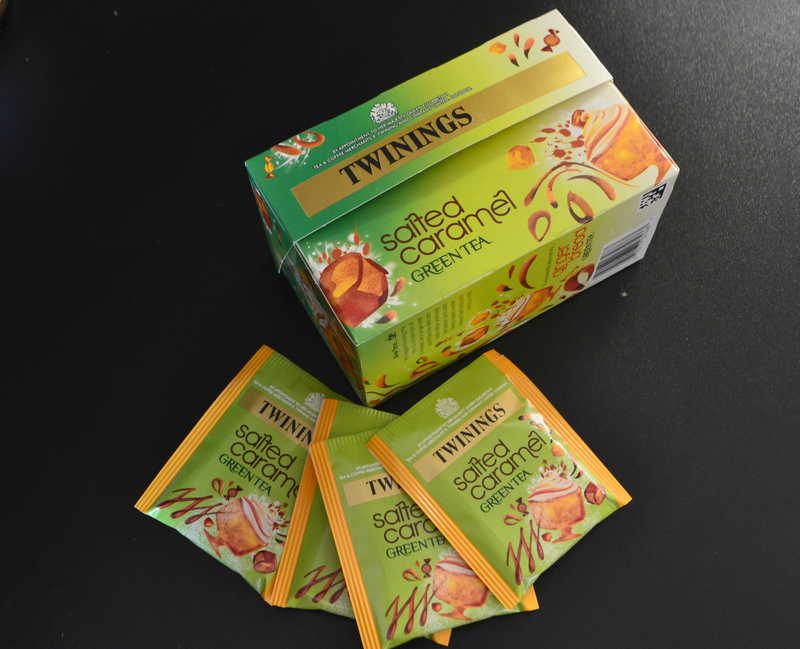 Twinings Salted Caramel Green Tea is £2.49 for 20 tea bags in which is a little on the expensive side but Twinings is a premium tea brand and it's something different to your normal kind of tea so I didn't really mind paying it. I always keep the tea bag in the water for at 2-3 minutes because I like to actually taste something rather than it being more like sipping on hot water; I have to say that this green tea smells incredible when it's steeping, you can really smell the salted caramel whereas normal green tea is pretty odourless I would say. As far as taste goes I'm going to say don't expect it to tastes as strong as it smells. 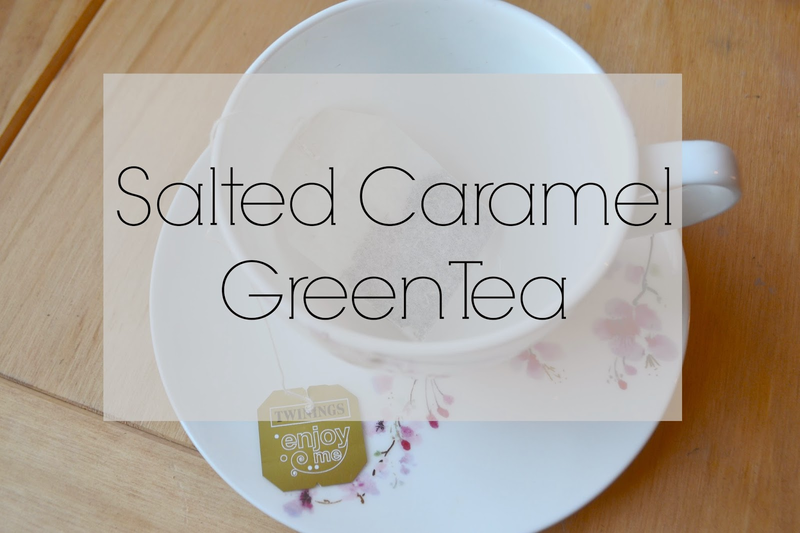 I think the salted caramel aspect only really serves to make green tea less bitter and more palatable; it does have a very very slight taste of caramel but it really isn't a lot. I was a bit disappointed to be honest but then I do have to remember that is it still green tea and it's quite a vast improvement on the normal stuff; I much prefer the salted caramel version. If you want to drink green tea for its health benefits but you really dislike the taste then I would suggest trying this or one of the fruity green teas. I think when I've finished this box I'm going to try Twinings Mango and Lychee because I think that sounds nice and I reckon it'll have even more of a sweet taste than the salted caramel. What's your favourite brand of green tea?